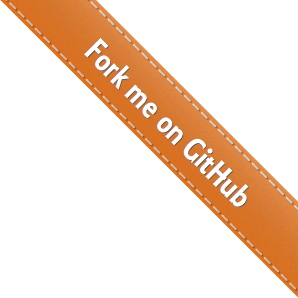 The full source and tests are also available for download on GitHub. Selectors are defined by the W3C Selectors API and supported natively by modern browsers. The above examples select nodes by tag name ("p" and "body", respectively). Elements may be selected using a variety of predicates, including containment, attribute values, class and ID. D3 provides numerous methods for mutating nodes: setting attributes or styles; registering event listeners; adding, removing or sorting nodes; and changing HTML or text content. These suffice for the vast majority of needs. Direct access to the underlying DOM is also possible, as each D3 selection is simply an array of nodes. Readers familiar with other DOM frameworks such as jQuery should immediately recognize similarities with D3. Yet styles, attributes, and other properties can be specified as functions of data in D3, not just simple constants. Despite their apparent simplicity, these functions can be surprisingly powerful; the d3.geoPath function, for example, projects geographic coordinates into SVG path data. D3 provides many built-in reusable functions and function factories, such as graphical primitives for area, line and pie charts. Once the data has been bound to the document, you can omit the data operator; D3 will retrieve the previously-bound data. This allows you to recompute properties without rebinding. Read more about data joins. Using D3’s enter and exit selections, you can create new nodes for incoming data and remove outgoing nodes that are no longer needed. Updating nodes are the default selection—the result of the data operator. Thus, if you forget about the enter and exit selections, you will automatically select only the elements for which there exists corresponding data. A common pattern is to break the initial selection into three parts: the updating nodes to modify, the entering nodes to add, and the exiting nodes to remove. By handling these three cases separately, you specify precisely which operations run on which nodes. This improves performance and offers greater control over transitions. For example, with a bar chart you might initialize entering bars using the old scale, and then transition entering bars to the new scale along with the updating and exiting bars. D3 lets you transform documents based on data; this includes both creating and destroying elements. D3 allows you to change an existing document in response to user interaction, animation over time, or even asynchronous notification from a third-party. A hybrid approach is even possible, where the document is initially rendered on the server, and updated on the client via D3. D3 does not introduce a new visual representation. Unlike Processing or Protovis, D3’s vocabulary of graphical marks comes directly from web standards: HTML, SVG, and CSS. For example, you can create SVG elements using D3 and style them with external stylesheets. You can use composite filter effects, dashed strokes and clipping. If browser vendors introduce new features tomorrow, you’ll be able to use them immediately—no toolkit update required. And, if you decide in the future to use a toolkit other than D3, you can take your knowledge of standards with you! Best of all, D3 is easy to debug using the browser’s built-in element inspector: the nodes that you manipulate with D3 are exactly those that the browser understands natively. D3’s focus on transformation extends naturally to animated transitions. Transitions gradually interpolate styles and attributes over time. Tweening can be controlled via easing functions such as “elastic”, “cubic-in-out” and “linear”. D3’s interpolators support both primitives, such as numbers and numbers embedded within strings (font sizes, path data, etc. ), and compound values. You can even extend D3’s interpolator registry to support complex properties and data structures. By modifying only the attributes that actually change, D3 reduces overhead and allows greater graphical complexity at high frame rates. D3 also allows sequencing of complex transitions via events. And, you can still use CSS3 transitions; D3 does not replace the browser’s toolbox, but exposes it in a way that is easier to use. Want to learn more? Read these tutorials. Library released under BSD license. Copyright 2019 Mike Bostock.